I don't know about where you live, but it was a gorgeous weekend here in Michigan. I was so excited to be able to get outside and shoot some 3D archery yesterday! 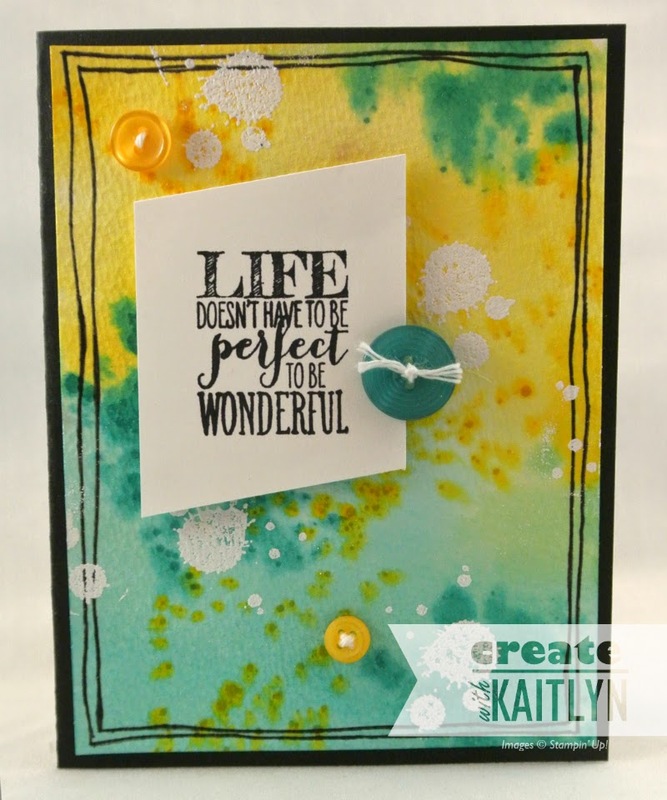 The card challenge over on Catherine & Cathy Create is perfect for this nicer weather! The challenge this month is a color challenge: blue and yellow for the blue skies and warmth of the sun. I didn't have any ideas rolling around in my head for this challenge, so I just sat down and started playing. I loved how it turned it! 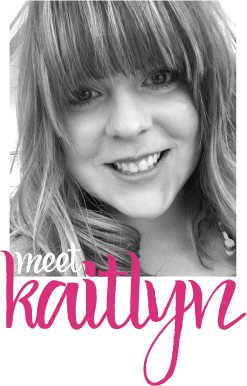 It is amazing how great a project can turn out when you have no idea where it is going! The colors I decided to use are Bermuda Bay and Crushed Curry. To create the background, I embraced some of my watercolor skills. You definitely want to use Watercolor Paper for this technique as it is really wet. To start, moisten half of your Watercolor Paper using an Aqua Painter. Then pick up color for the lid of one of your ink pads (to get ink on the lid, squeeze the ink pad in the center when it is closed) and start coloring on the part you just moistened. I then held my paper vertically so it would run, if it doesn't run, just add more water. Then do the same thing to the other half of the paper with your other color. While the paper was still damp, I stamped a couple of images from the Gorgeous Grunge stamp set. By stamping on the paper while it is still slightly wet, the color bleeds and the images aren't as crisp. Once the paper was fairly dry, I used my Basic Black Stampin' Write Marker to add the borders. Then I heat embossed another image from Gorgeous Grunge with White Embossing Powder. 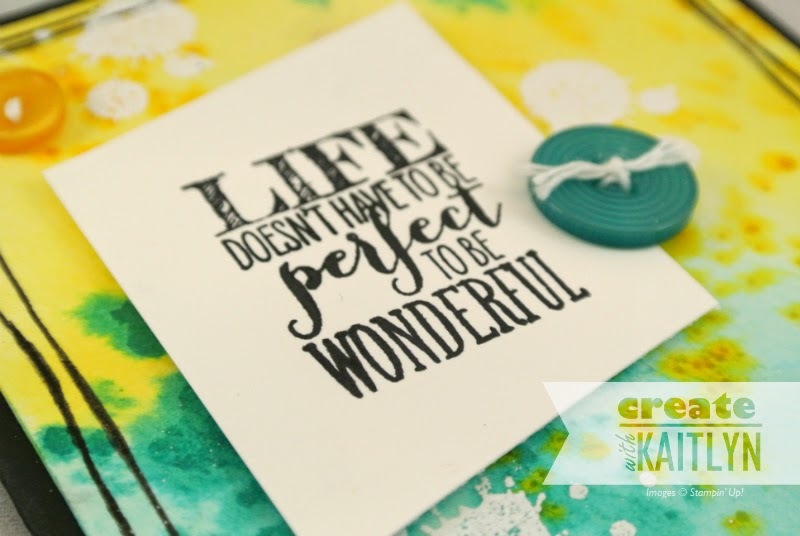 I thought that this sentiment from the Perfect Pennants stamp set was perfect for the background I ended up creating. I think that it is great when the cards reflect the sentiment! To finish the card off, I just used some Bermuda Bay and Crushed Curry buttons with some White Baker's Twine. 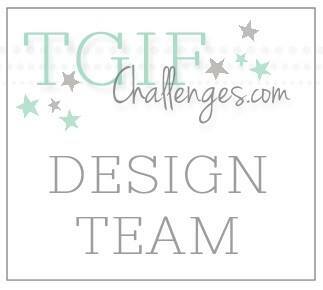 To join the challenge, be sure to head on over to Catherine & Cathy Create!